Hello,I enjoyed this book. I had visited Budapest in 2011, and knew of the battle, but I was not fully aware of the details, the commanders, or why the battle was fought three times for this capital with the last of the German reserves. The book begins with the economic, political, and strategic reasons why Hungary was an important battleground to fight over. From being a source of oil (last source available to the Reich) and a final ally in addition to defending the routes to southern Germany and Austria there is justification as to why Hitler would choose to fight in Hungary. 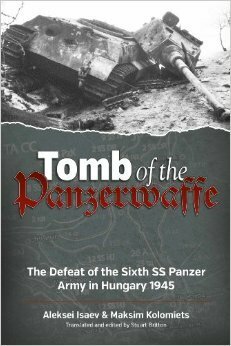 The decision to fight made, the reallocated German Panzer assets are described, their locations and status explained. These were not the divisions of 1943, having been worn down by two years of continuous conflict. Nevertheless, they were thrown into the successive series of conflicts fought for control of Budapest and ultimately fail to achieve their aims. The Russian Commander is aware of the impending attacks and actions on a Front, army, and divisional level are discussed. Key assets and lessons learnt from Kursk are detailed showing how earlier conflicts changed the way the Russians approached this defensive conflict doing their best to minimize forces to conserve strength for their counter-offensive and push for Berlin. Aleksei describes Operations Konrad 1 through 3 from both a Soviet and German perspective. Commanders on both sides make mistakes and Aleksei describes the decisions made and their consequences. I highly recommended for a historian of the late war conflict on the Eastern Front. The pictures and attention to detail of this corner of the conflict that waged is well illuminated by this work.